Buried within Microsoft's latest Windows 10 Insiders build is an emoji update which adds the 🏳️‍🌈 Rainbow Flag emoji, genders, professions, and in a first of any major platform — interracial couple emojis. Until now, all platforms have only supported the default-yellow skin tone for 👩‍❤️‍👨 👨‍❤️‍👨 👩‍❤️‍👩 Couple With Heart and 👩‍❤️‍💋‍👨 👨‍❤️‍💋‍👨 👩‍❤️‍💋‍👩Kiss. While the current yellow skin tone is intended as a "non-human" default skin tone, it's clear that some users see this as a defacto white skin tone. As such, the issue of emojis for interracial couples or couples with darker skin tones has been ongoing one, that Microsoft appears to be addressing in this update. Interracial Couple Emojis are coming to Windows 10 Creator's Update. 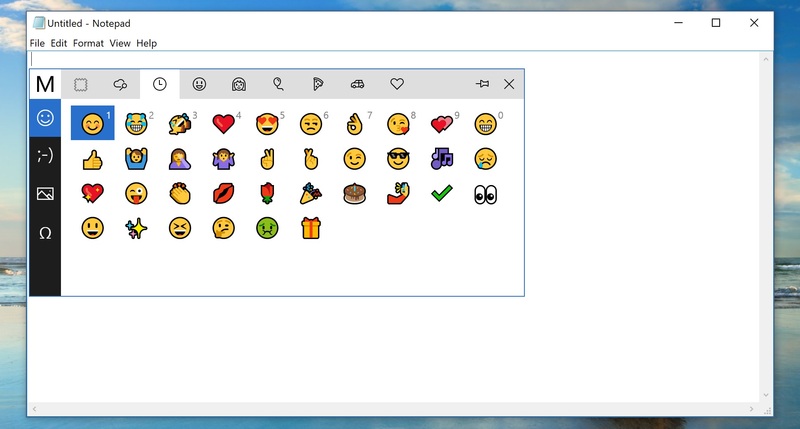 New emojis are supported within Windows 10 Insiders build 15002, which means they should be available for the general public as part of the Windows 10 Creator's Update in the coming months. As the built-in emoji keyboard has not received any updates, the only way to access these new emojis in the current build is via copy and paste. 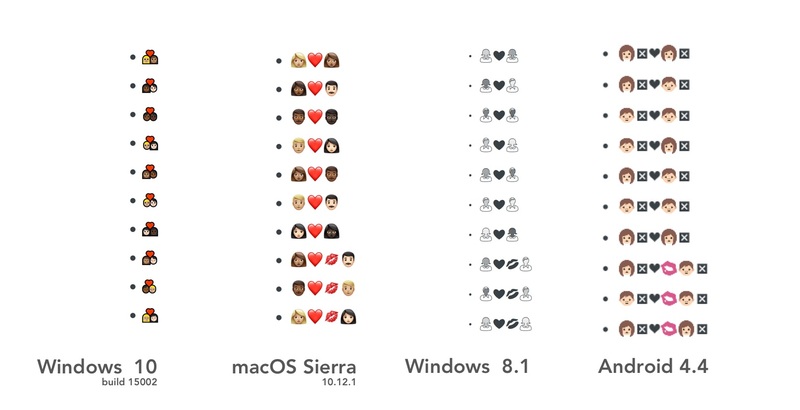 The new interracial couple emojis are implemented in the same way Microsoft added diverse families to Windows 10 Anniversary Update: using Emoji ZWJ Sequences. This update from Microsoft differs from all other platforms in that each person in the couple (man or woman) supports skin tones. Either person can have one of six skin tones (default + five skin tone modifiers), and man/woman can be shown on the right or left. Unicode provides support for vendors to implement Emoji ZWJ Sequences without prior approval needed. Thankfully, Emoji ZWJ Sequences degrade gracefully on other systems, and the result of sending one of these emojis to an unsupported would be the display of each individual emoji. As these have not been documented within the Unicode Standard, it's unlikely they will see support from other vendors at this stage. Implementing this many variations presents challenges for user interface, and on systems with bitmap emoji images like iOS, a technical challenge too. As per Emoji 4.0 every emoji that has a gendered appearance now has a female and male version. The gendered additions range from 🏃 Runner to 🙍 Person Frowning. Above: Female Runner joins and Man Frowning are new on Windows. Each emoji profession is a Emoji ZWJ Sequence which combines a Person (👨 Man or 👩 Woman) with an Object (eg 🔧 Wrench for Mechanic, or 🔬 Microscope for Scientist) to display a single emoji. None of the new emojis appear on the keyboard, and no improvements have been made to the interface presented. In my testing, this was rather confusing to setup, and clearly not intended as a primary input for English, non-touch screen devices. I suspect this UI may form the basis of a new emoji input for all users in future. This is purely speculation, but it's clear the keyboard UI isn't suited to emoji insertion on the desktop. As the Pinyin IME also show stickers and kaomoji (which aren't available anywhere for non-Chinese language users) it's possible that this could lay the groundwork for a better emoji picker for other users in a future release. 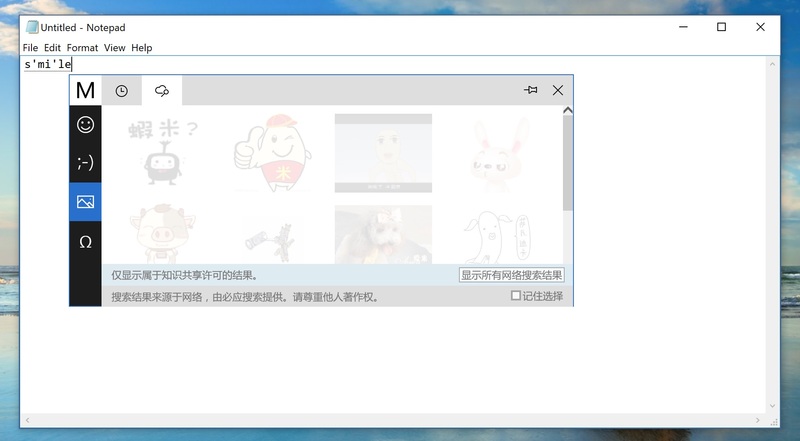 Above: Stickers have come to Windows, but only for some users. As with all preview builds, issues may be present, and all emojis are subject to change prior to the final release. I did come across some bugs in emoji rendering, and ongoing lack of color emoji support in many parts of the OS. Those will be more notable if still present in the final release. Windows 10 Creator's Update, is scheduled for release in Northern Hemisphere Spring (March-May 2017). What is an Emoji ZWJ Sequence?